“In the 1970s, Herbie Hancock created a successful blend of jazz improvisation and contemporary funk rhythms in a succession of albums beginning with the classic Head Hunters. 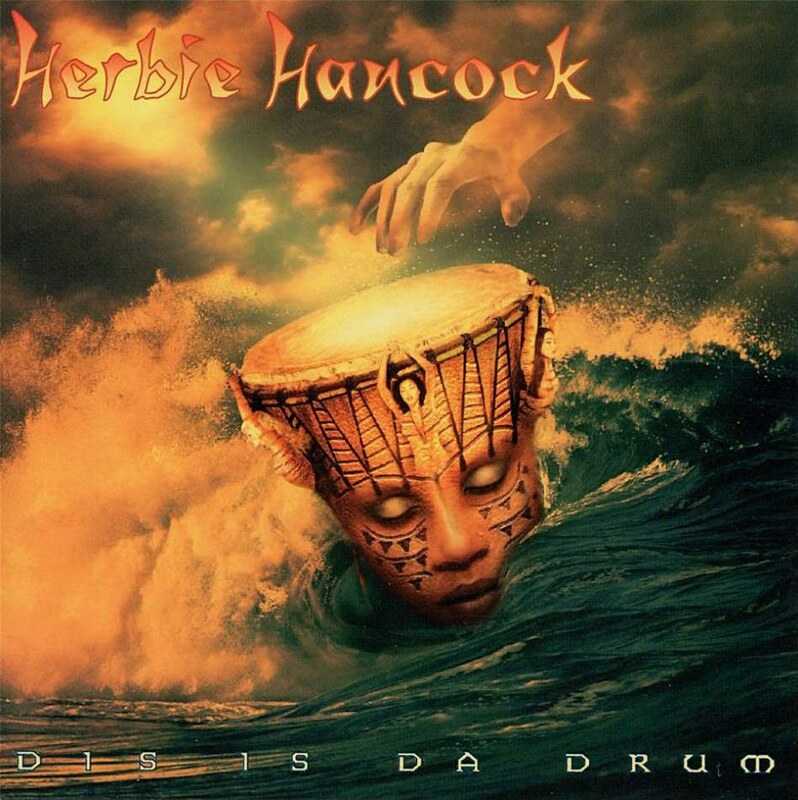 On Dis Is Da Drum, Hancock once again takes a dive into contemporary rhythms, in this case mid-’90s hip-hop. While the blend was not as commercially successful this time around as his crossover forays of twenty years earlier had been, the resulting music still proves to be well worth checking out. Employing cohorts like Bennie Maupin, Wah Wah Watson and multi-percussionist Bill Summers from the old days, and combining them with a huge roster of contemporary jazz, rap and hip-hop musicians, Hancock creates a surprising album full of samples, sequences, drum loops, and rhythm armies.